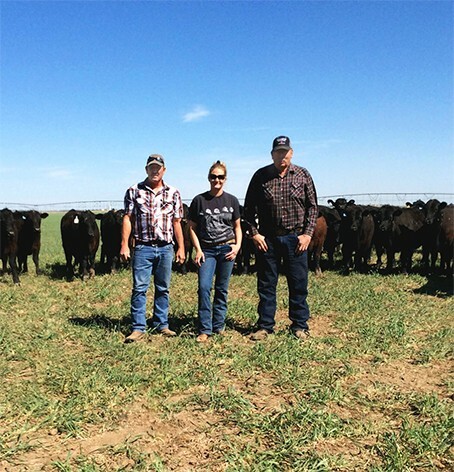 Redger Farms is a family-run operation just outside of Plains, Kansas. Our family has been raising beef cattle for generations (since our Mennonite ancestors came to America). We humanely raise healthy, all natural beef cattle. Our cattle are 100% grass fed from start to finish and they're never given grain, antibiotics, hormones, or growth enhancers. After many years of requests, we've also begun raising heritage Freedom Ranger chickens! Our farm functions on small-town values, family traditions, and humane responsibility. We raise the beef that we would give to the people we love with no ploys or secrets. We are Redger Farms, honest and simple. Our cattle are never given grain... Ever. We are Step 4 Global Animal Partnership Certified, which means our cattle spend their whole lives roaming the pastures. They are never given antibiotics, hormones, or GMOs. Grass-fed beef typically has more vitamin E and is leaner than conventionally raised beef. Redger Farms beef has less of the bad fat but maintains higher levels of healthy Omega-3 fatty acids than grain-fed. We have the proof. Because our animals are raised humanely and naturally, you get healthier and tastier beef and chicken. We think our meat is some of the best in the country, and we aren't the only ones. We are in regular rotation at Crowd Cow, who focuses on delivering high-quality meat across the country. We are also carried in Whole Foods stores across the Mid- and Southwestern U.S. Click the button below to find out if there's a participating store near you. We are verified by the Non-GMO Project, Global Animal Partnership Certified, and featured on the American Society for the Prevention of Cruelty to Animals (ASPCA) Shop with Your Heart list. Click on the icons below to learn more about these wonderful organizations.